We are happy to announce that we are again publishing our inspiring, page-a-day calendar, for the year 2019. 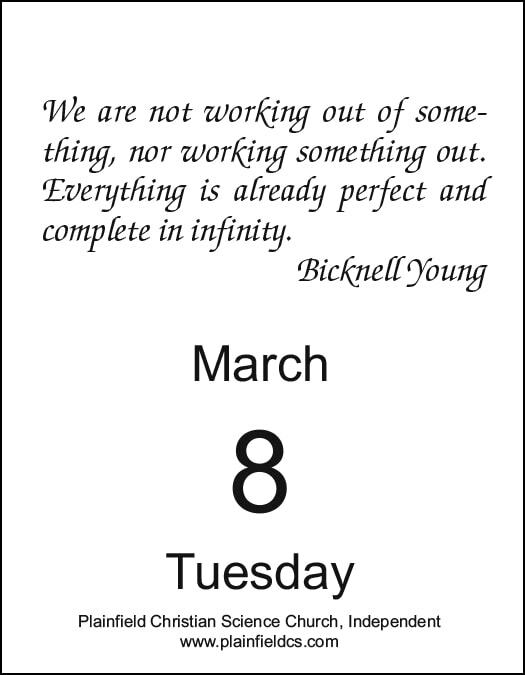 The calendar consists of 365 healing statements from the Bible, Mary Baker Eddy, some other powerful Christian Science workers, such as Bicknell Young, Peter V. Ross, Rev. G. A. Kratzer, and Edward A. Kimball and other trusted sources. This calendar makes a great gift for anyone who can use the truth and it reaches the heart with a wonderful statement for each day of the year.